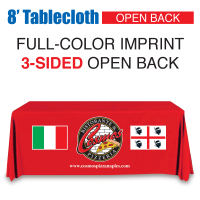 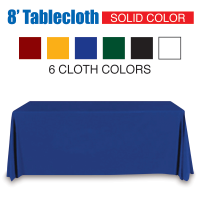 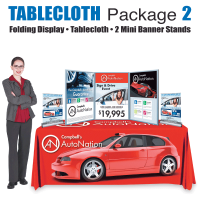 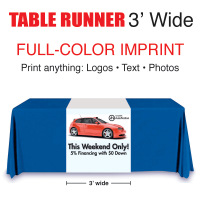 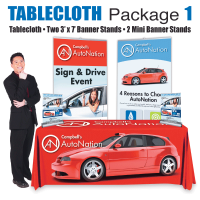 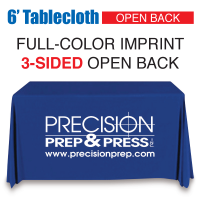 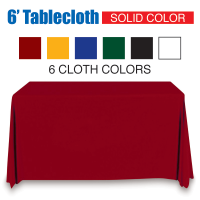 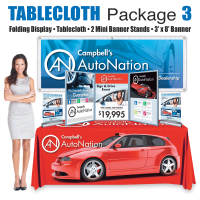 This tablecloth fits a standard 8' trade show table. 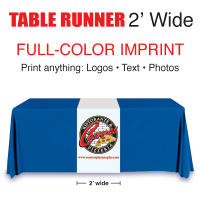 FULL-COLOR IMPRINT with FULL BACK. 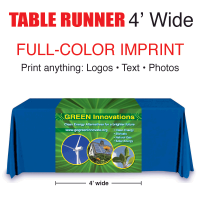 Use text, graphics and/or photos. 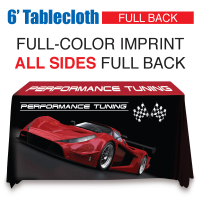 Full back and all sides hang to floor.